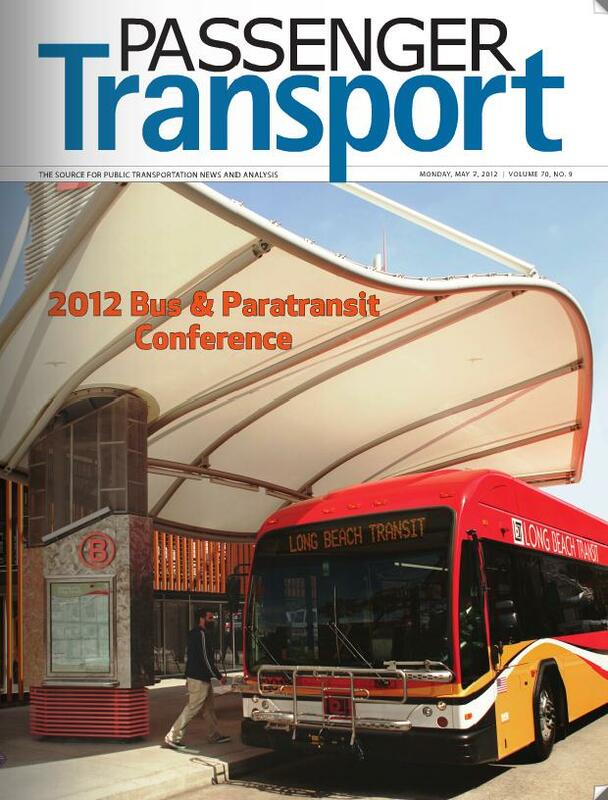 Click image to open up the May issue of Passenger Transport Magazine. 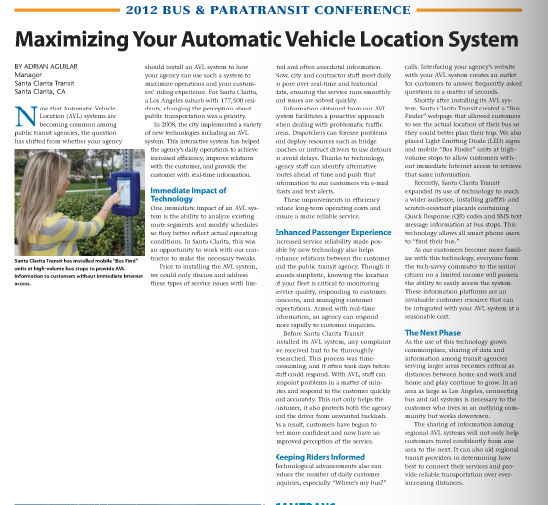 Santa Clarita Transit was featured in this months American Public Transit Association’s Passenger Transport Magazine with an article featuing the City’s Automatic Vehicle Location System. For more information about Santa Clarita Transit, visit SantaClaritaTransit.com.